You will love this unique pattern. Fully reversible and eye-catching blanket will be perfect gift for any baby shower or adult blanket. Enjoy! Don’t forget to share your work in our Facebook Group. The link to the pattern is below. Enjoy! 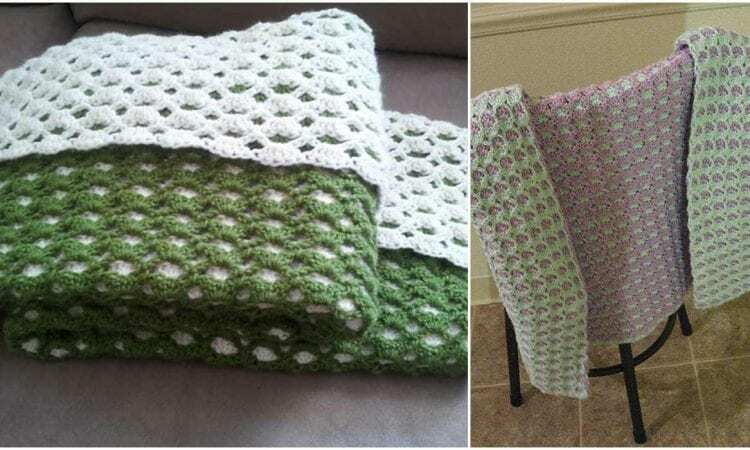 2 Sided Baby Shell Afghan – visit the free pattern site.